(Potatoes, Yukon Gold) Yukon gold potatoes were developed at the University of Guelph in Canada by crossing a North American white potato with a wild South American variety. Most of the potatoes grown outside of North America are of the yellow flesh variety. 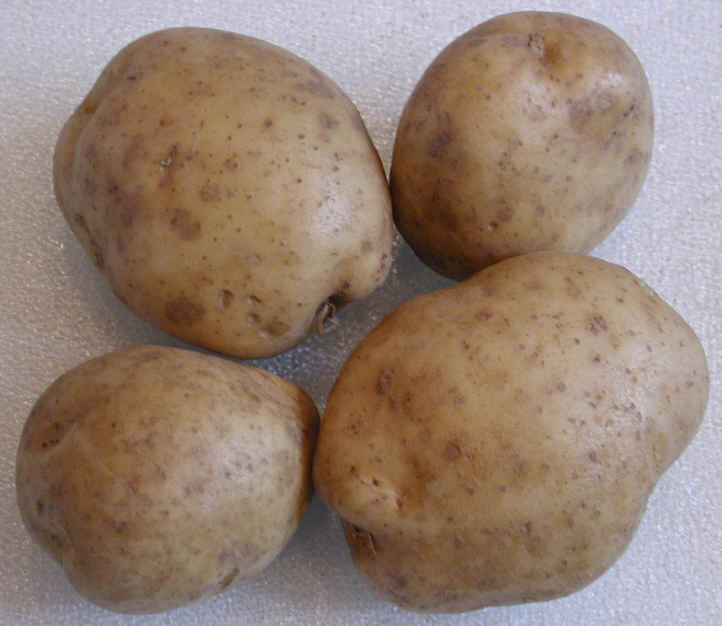 Select Yukon gold potatoes that are firm and free of blemishes and wounds. 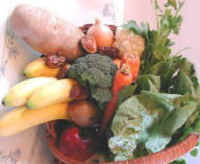 Some people claim that Yukon gold potatoes are more flavorful than white potatoes, but we haven't noticed any more difference than would be found in potatoes grown in different locations and soil conditions; however, since the Yukon gold potato contains anthoxanthins, bio-flavenoids that impart the yellow color, there may be a slight taste difference. We could not find any specific nutritional information for Yukon gold potatoes.